First, I would just like to say that I am sorry you are just receiving our December report. Lots of great things have happened this month but, as a result, our days were slammed. Thank you for your patience. December was the first month since we arrived that we could step back from the farming (a little) and focus heavily on other areas (such as evangelism). Our 1-acre plot that we planted the rows of beans in is growing nicely, thanks be to God and His provision. We have continued with the laying hens and growing out broilers every month. This month we processed 180 chickens and had a buyer waiting. He, along with others, would like us to increase our numbers. We are working out all of the plans to be able to do that and add to the farm work here (pigs in particular). This month the Lord’s servants have been working hard for His kingdom as visitors from all over the U.S. came to serve here in Tanzania. Many souls have been added to the Kingdom. The first week of December visitors flooded in and we had a full home and school. The Storks family, who if the Lord wills, will be joining the TZ2000 team in August of this year came to survey and help. 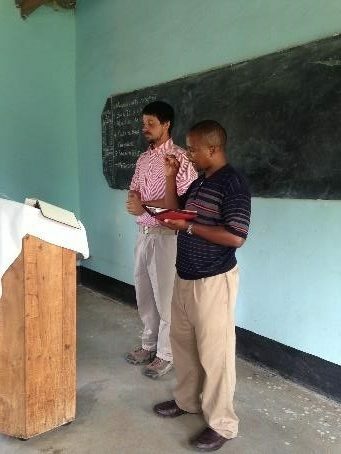 Neil Richey and his son Payton, from Atlanta, Georgia, came to do personal evangelism, the Future Preacher Training Camp, and help with the Tanzanian Christian Camp. Joseph Burns, Augusta, Georgia, came and helped with the Children’s Seminar and the camp. 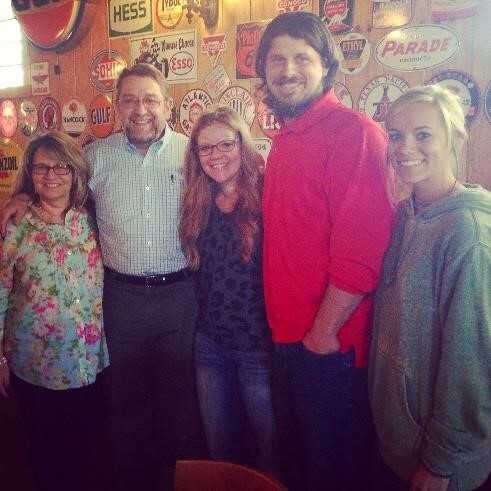 Ben Thompson’s family and John Rice also came in to help with the Tanzania Children’s Camp. Jay and Renee Galloway spent several weeks here and returned home the first week of December. While they were here they were able to serve the Lord in so many different ways. A new sister was added to the body of Christ, Dorcas. After Renee spent several days studying the bible with her. The first Sunday of December Justin preached to the congregation at Magi ya Chai and Anna taught the children’s bible class. We were surprised when Anna’s bible class had 22 children! The Future Preacher Training Camp geared up at the beginning of December and there were 45 young men who came to learn how to spread the Gospel of Jesus Christ. Justin spoke to these young men twice. Once on obedience in the mind of a preacher and a second time on stewardship in the mind of a preacher. Please keep all of these young men in your prayers as they devote their lives to the Gospel. While all of these December visitors kept us more than busy, we are grateful for their help and service. The Storks family joined us for our December Children’s seminar. This one was held in Karatu, a very small village more than two hours away. We had been told to prepare for much smaller numbers but the Lord had other plans. While the children started wandering in that morning an mzee (old man) came and sat among the children. Desdery, one of the locals helping with the seminar, began talking to the man. He told Desdery he was there to study the Bible. Since the entire Storks family was with us (3 men and 2 women) the men took him aside to begin a Bible study. Soon there were more than 20 adults wanting to study with the Storks family. 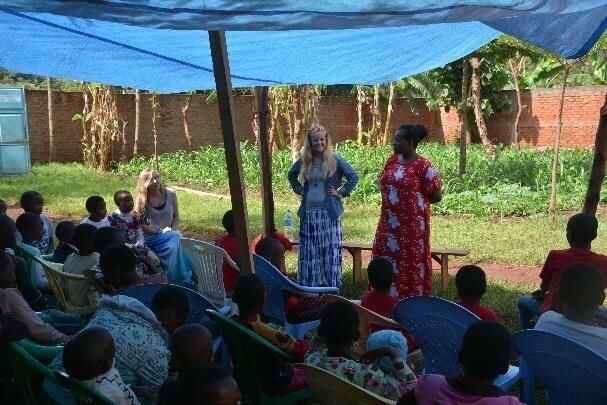 While Anna and Samantha taught the more than 120 children who showed up (wow!) the Storks family evangelized to the adults. The result? 6 adults put the Lord on in baptism! We are thanking the Lord for these children’s seminars and the way they are touching lives every month. Thank you to all of you for sending supplies and helping us financially! They are a big endeavor but well worth the effort. We are looking forward to January’s seminar. Please let us know if you would like to help with the expenses. 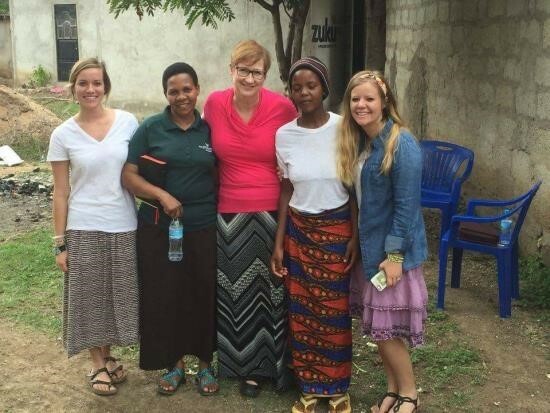 We also had the Tanzanian Christian Camp this month. Ben Thompson and his family and John Rice came in to help run this as they do every year. Every year they have held steady at around 80 campers. This year there were 135 campers! Samantha taught the youngest girls group (12-15 years), Joe Burns and Peyton Richey taught the youngest boys group (12-15 years), Anna taught the middle girls group (15-18 years), Justin taught the middle boys group (15-18 years), and locals taught the two oldest groups (18-22 years). All of the Bible teacher’s classes were themed around having hearts on fire for God. We discussed why we were created, who we were created for, what He did for us, and why we should want to share what He did. By the end of the week 18 youth put on our Lord in baptism! This month has been overflowing with God’s goodness and riches. We are tired but filled. We want to personally thank every one of you for your prayers and help. Please keep it all coming! We have one last request, as many of you may already know, Cy Stafford left here at the beginning of December due to health problems. Last week he was diagnosed with leukemia. All of us here are heartbroken but we know that we serve a great God and that He is the Great Physician. Please keep Cy and his family in your prayers. It is thanks to him and the Lord God almighty that we are able to do what we love and serve the people here in Tanzania. Cy and Stephanie love this country and this country and its people love them. Pray that they are able to continue to serve the Lord in this mission field.